March 8 is International Women's Day. This year's theme: "Make it Happen." International Women's Day (8 March) is a global day celebrating the economic, political and social achievements of women past, present and future. It also honours the important work of the Suffragettes who campaigned for a woman's right to vote. It is a day that also reminds us of inequities still to be addressed. The first International Women's Day event was held in 1911. 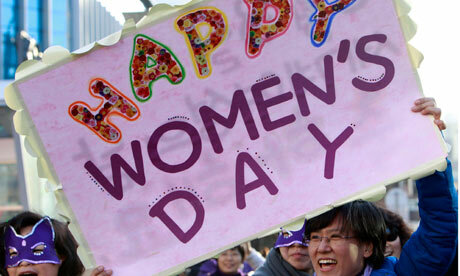 Today, in some countries such as China, Russia, Vietnam and Bulgaria, International Women's Day is a national holiday. All of us can take a moment to honour the very special women in our life—the mothers, daughters, sisters, friends and other amazing women who brighten so many lives. Send a beautiful tribute to a special woman this week and let her know she is remembered, and she matters to you. Check out some lovely flowers, bouquets, and gift basket choices below, and show her how much you care. 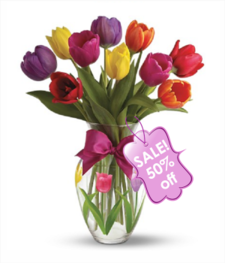 Ten gorgeous fresh cut tulips make a fresh and lovely gift for any woman. Our designer creation is a bold mix of pink, yellow, red, white and orange petals. She will love the bright mix of colours and warm feelings that come with spring flowers. 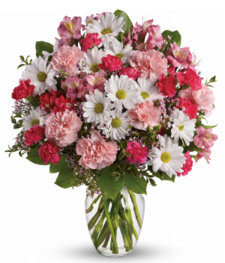 She will love this full blossom bouquet with an array of feminine flowers like pink Alstromeria, pink carnations,white daisy chrysanthemums, waxflower and salal. When these pretty blooms unfold, they fill the room with revitalizing fragrances that is sure to further delight her. This enchanting bouquet of vivacious coloured flowers is irresistible. 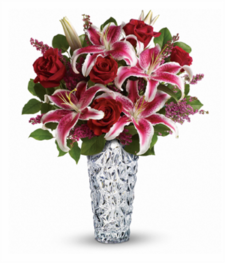 The flawless mixture of flowers in this bouquet includes graceful lilies and elegant roses complimented with fresh greens. Pamper that special woman in your life with a beautiful basket filled with bath and body treats. 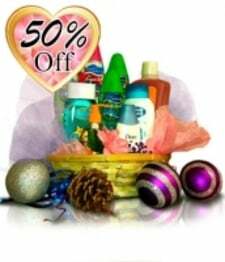 Your Supreme Spa Basket includes several body and bath essentials such as lotions, body washes, hand washes, and foam bath products to soothe away stress and pamper her from head to toe. This delicious basket is filled with savoury truffles, chocolate and fudge. 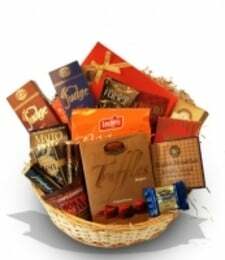 The perfect gift for a chocolate lover, this basket has it all! This basket contains delicious treats such as premium chocolates, truffles, fudge, cookies, teas and coffees, for a spectacular assortment that will delight her! You can never go wrong by sending her roses! 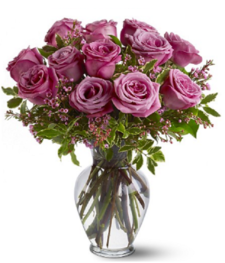 Any roses are a sure way to make her happy and make the perfect Women's Day tribute. Any colour roses are a lovely choice, but opting for feminine shades such as pink or lavender might create even more delight. Remember the special women in your life this Sunday March 8. For more details on the suffragrette movement, check out the timeline of the women's movement. For more ideas on what to send, check out our blog on Tea Gift Baskets.